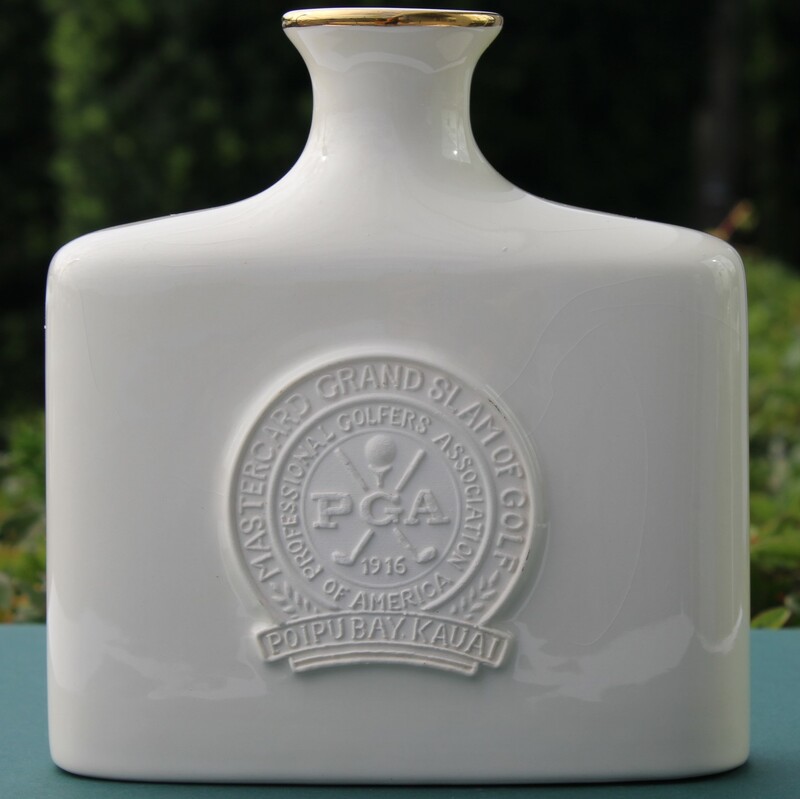 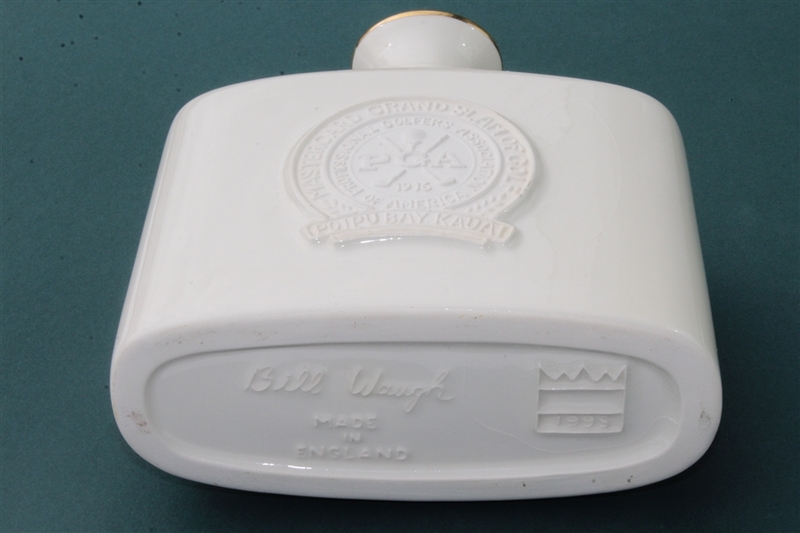 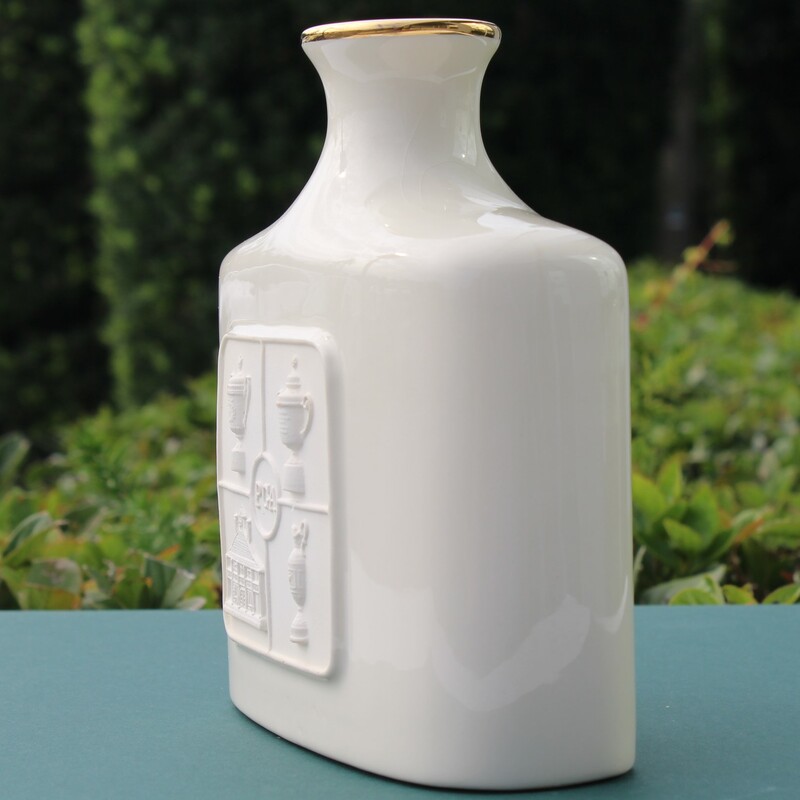 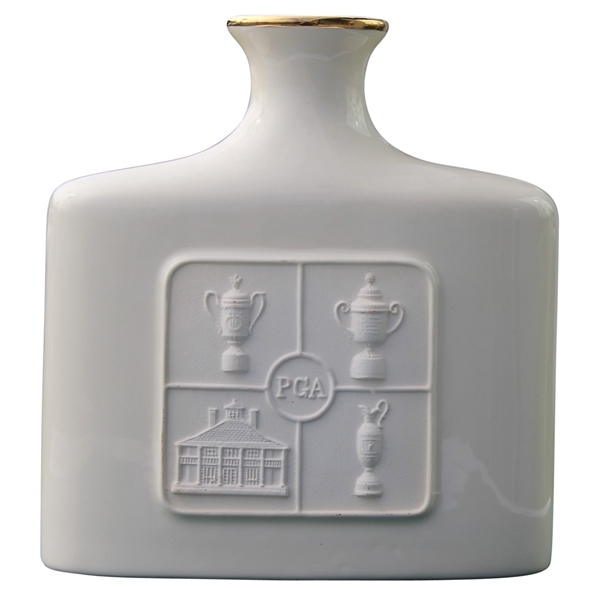 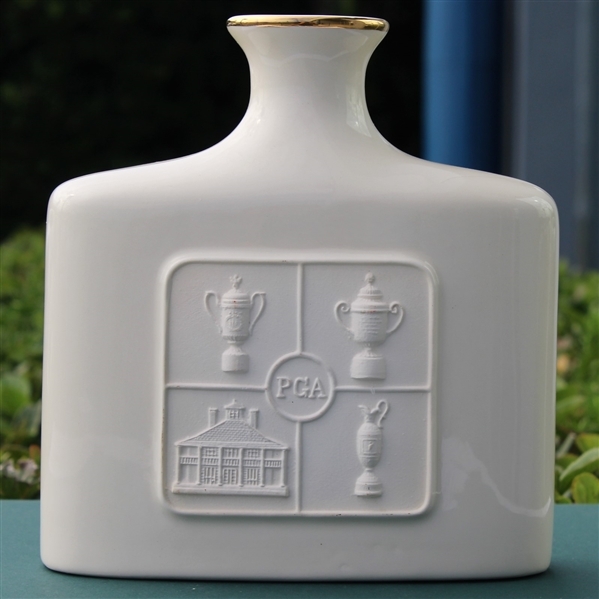 Offered here is a decanter depicting the Major trophies in golf. 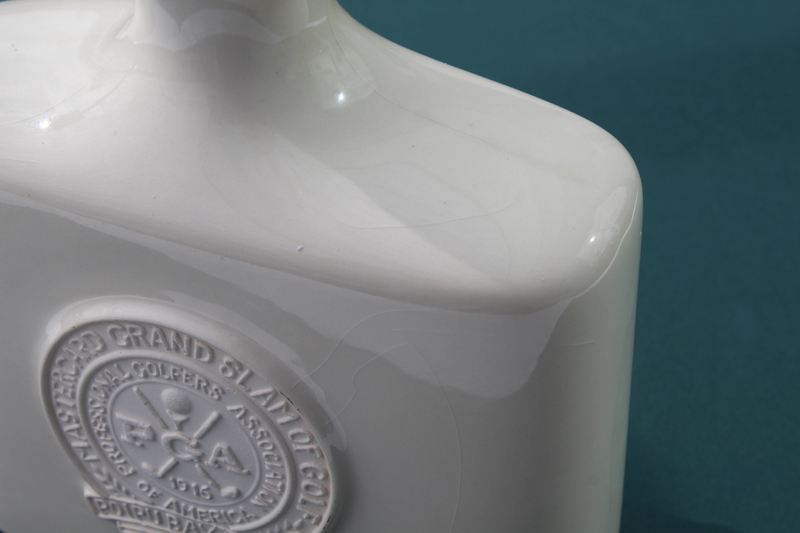 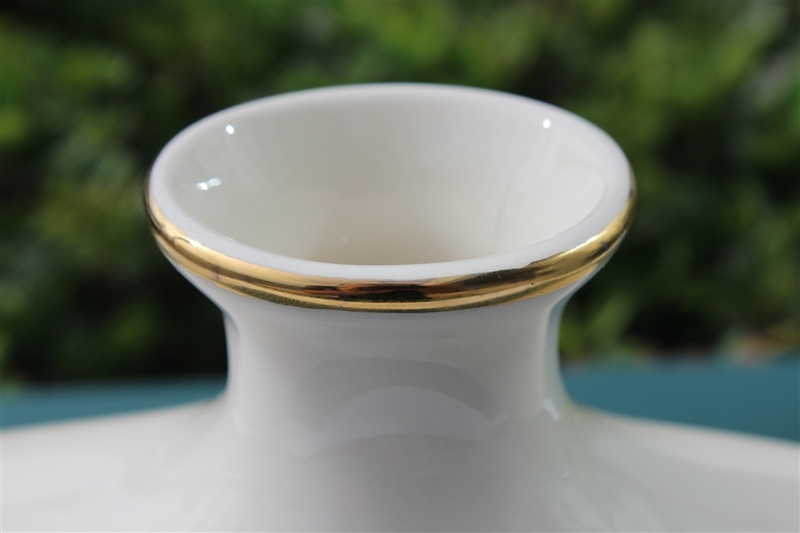 There are no cracks or chips, and some surface craze lines present due to age. 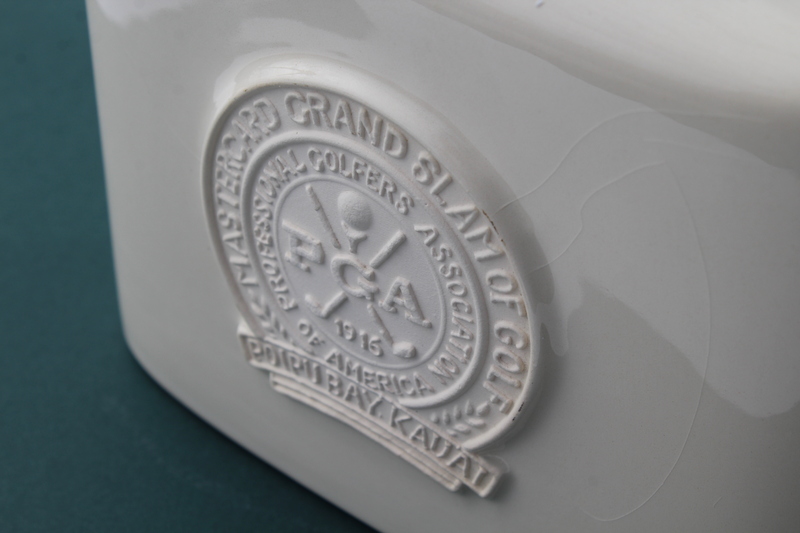 It measures 7" x 7 1/2" x 3". 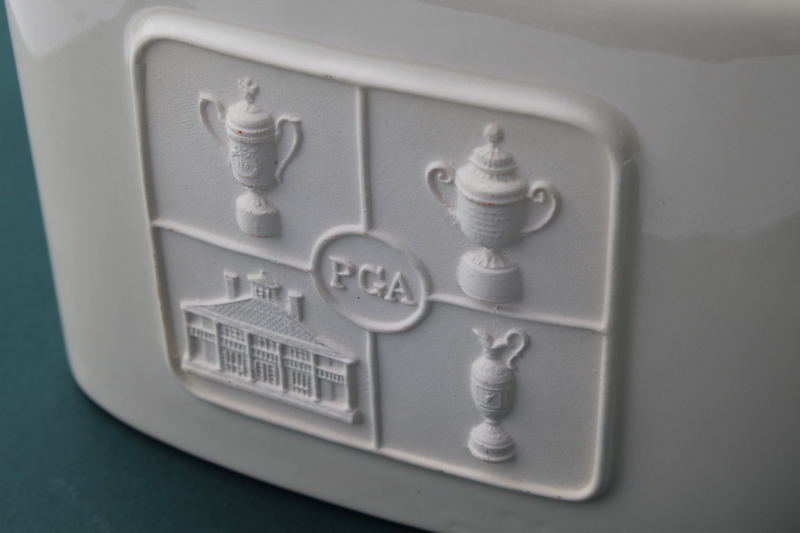 The Grand Slam of Golf pitted the winners of the Major golf tournaments each year.